BOOK YOUR NIAGARA TOUR HERE! 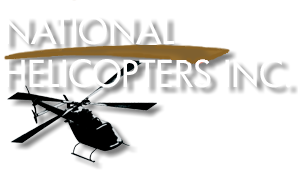 Welcome to national helicopters Inc. Flight training, Utility & Contract Services and Aerial Construction. "Wow, everyone should do this tour! The views are just amazing! From start to finish, it was a great experience! "This helicopter flight was definitely the highlight of our short stay to Canada and the best way to experience not just the Falls but to see how beautiful Canada is!" "This exciting tour was made better by the fact that I got to sit in the front seat of the helicopter!" "The aerial perspective of the falls and Niagara in general was breathtaking. The tour gives passengers seated on either side of the cabin to enjoy a great view of the scenery. Highly recommended! "Superb!!! This was my first time in a helicopter and, Wow, what a place to do it! The falls were truly spectacular and this method of viewing them was the ultimate."